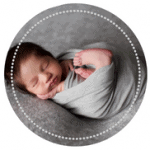 I’m Shaista and I photograph newborn babies and families for the sole purpose of documenting timeless first memories in the most beautiful way possible through genuine and emotive story-telling. As a newborn photographer in London, I believe that there is nothing more beautiful than the love we have for our children and although time moves fast, that love is forever. Memories are priceless and pictures capture a thousand heartbeats. I’m fully qualified, accredited and have over 8 years experience in creating huge smiles and warm hearts for years to come. In all the years that I’ve been photographing newborn babies and families, my style has become very natural and timeless as that is exactly what I want to create for you. 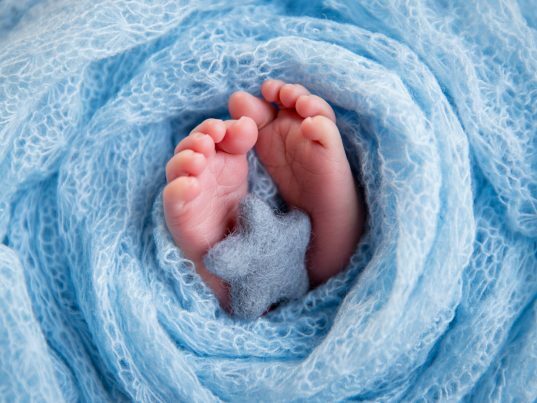 Natural and timeless images of your newborn baby that you will be able to show off forever. I offer a wide range of different photography shoots from bump through childhood to ensure we can capture the different stages of your child’s life. From a bump to a newborn baby and from a sitter session to a cake smash, I’m confident we can plan a shoot together that you and your family will cherish for years to come. I promise there is no hard selling. I don’t invite you for a hard sales session once your images are ready and instead, let you see them on an online gallery in the comfort of your own home with your family. You can purchase as little or as much as you like and I’m pretty sure the different options I provide will ensure you get the images that I know you will love. Your photography session will take place at my comfortable studio in Northwood in Hillingdon, located centrally between Harrow and Watford in London. The session is designed to be a relaxed and fun for you and your child or baby. Once your session is booked and I have received your booking fee and signed contract, I will send you a specific address and directions. I like to keep thing very simple. The simple answer is: your session booking fee + products = your investment. Session booking fees for all shoots are £60. This allows for the time of the shoot at my studio, my time, knowledge and skill throughout your session and preparation of a custom online viewing gallery where you will be able to select your images from. Your session booking fee does not include any images or prodcuts. These can be purchased once you have had a chance to see the online gallery that I will prepare for you. Products – I have a huge range of products including, Wall Art (canvas art wraps, traditional frames and contemporary floating prints), printable images on a USB, albums and other print options. All my pricing is transparent and there are no hidden charges. I offer a range of packages for each type of session that you can find more information about on my pricing page. Bump: Figure-hugging clothes; leggings and a vest top that can be rolled up to reveal your bump for example. Newborn: Just a nappy and possibly a change of clothes. You are also welcome to bring any nice memories like a first bear or blanket, hospital tags or anything you have bought or received that you would like to add to your newborn photography shoot. 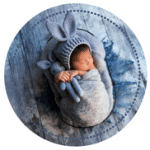 We could add these nice details shots to a collage that adds to the story of your new arrival. Mini Sessions (4-6 months old): You only really need to bring a nappy. You can choose to bring along any hats that you have acquired and even pick out an outfit or two that would like to include in your mini session photography shoot. Sitter Session (7-10 months old): By this stage, your child is most likely sitting and starting to crawl so comfort is best. I would suggest keeping it simple with clothes that your child is comfortable in and maybe some lace, frills or denim to add some additional character to your photos. You are also welcome to bring anything else you would like your child to wear like hats or props to further bring out your child’s individuality. Cake Smash: I have outfits available but something that can get messy is best. I would also suggest bringing a change of clothes for the journey back and children tend to get very messy when cake is involved! Children: Plain, bold colours generally works best. It’s also a good idea to add a bit of denim or a textured knitted sweater to give the images some variance especially if we choose to have some in black and white. Whether you have just found out you are pregnant, you’ve just had your first baby or you have already built your family, I would love to help create a photography shoot that you and your family will remember forever!